A Russian company indicted by special counsel Robert Mueller for meddling in the 2016 election is relying on an opinion by Trump Supreme Court nominee Brett Kavanaugh to get the indictment dismissed. Concord Management and Consulting was accused of paying $1.25 million a month to the Internet Research Agency, a Russian "troll farm," to sponsor divisive political ads on social media. 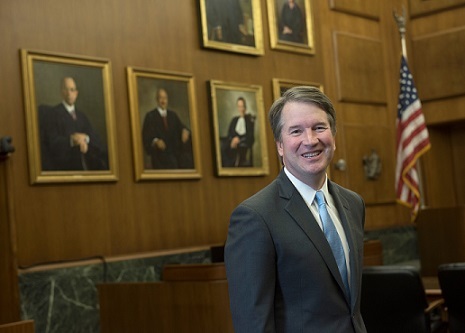 Concord has filed a motion to dismiss, claiming its advocacy is consistent with the decision of Trump Supreme Court nominee Brett Kavanaugh. Specifically, Kavanaugh’s 2011 decision in Bluman v. Federal Election Commission, barred foreigners from supporting or opposing particular candidates, but did not restrict advocacy on broader political issues. Kavanaugh also said that a requirement that a defendant act “willfully” before imposition of criminal penalties “will require proof of the defendant’s knowledge of the law.